If you’re a business owner in San Diego, you understand the need to protect everything you’ve worked so hard to build. In today’s litigious society, you need the right people on your team to advise and guide you to make sure that your business is properly covered. Your business is your livelihood, and it’s what pays the bills and feeds your family. We take protecting you and your business very seriously. Business can be challenging and frustrating at times. We understand this, and pride ourselves on making your life easier by removing the guesswork from your insurance. You can trust our knowledge gained over 40 years of combined experience to help you make the right coverage decisions. There are many parts that can make up a San Diego Business Insurance policy. It’s imperative to work with an agency that understands commercial insurance completely and can put together a package that makes sense and fits your unique business needs. 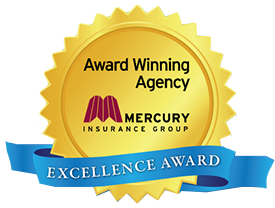 As your premier Independent San Diego Business Insurance Agency, we have access to over 20 top rated companies, so we can search the market to find the best combination of coverage and price. Every business is different, so we don’t take a “one size fits all” approach. By listening to your needs, and then custom tailoring a comprehensive plan, we’ll show you why so many people trust us to insure their business. You’ll feel comfortable with your decision to work with us. All of your questions will be answered, and you’ll understand what you are buying and why you need it. You will sleep easier at night knowing that you have the right protection for your business, from the right agency. Let us handle your insurance, so you can focus on building and taking care of your business.